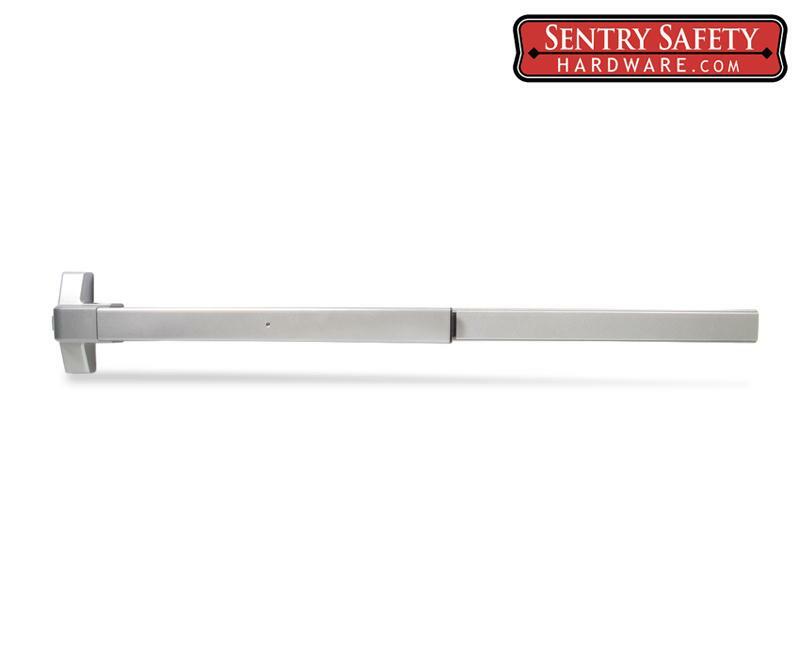 The Surface Mounted Electric Strike is designed for rim -type surface mounted panic bars. 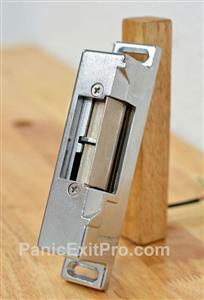 The Surface Mounted Electric Strike provides access through the door from the outside by means of entry devices. 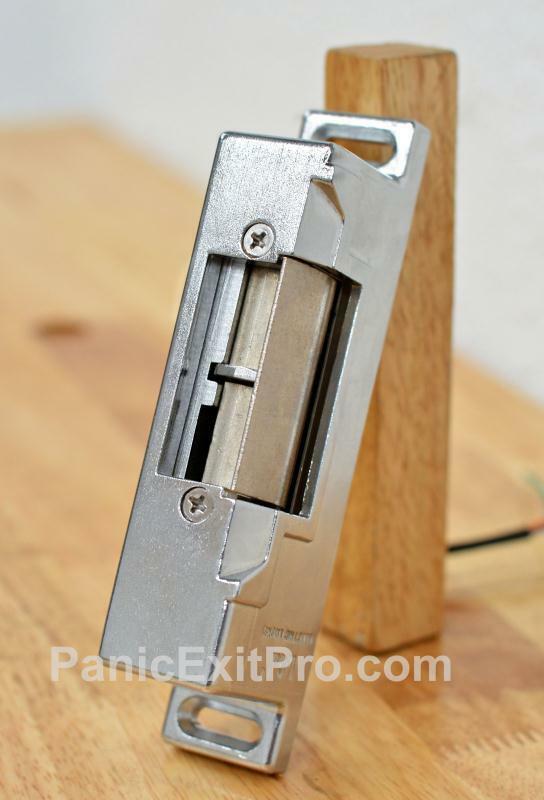 This means that doorways with panic bars may still be exited as quickly as possible while also allowing a secure means back inside via attached entry devices. These entry devices can be keypads, proximity card readers, or any such electric entry devices. Due to the Electric Strike being surface mounted, it is compatible with a wider range of panic bars and doors. The surface mount style also allows for simpler installation and better access for diagnostic purposes. The Surface Mounted Electric Strike operates on a Fail Secure feature, which means that the door is normally locked and only opens upon being energized. This ensures that your door is secure at all times except when it's energized and activated, otherwise the door will stay locked even in the event of a power failure. The Surface Mount Electric Strike will operate in a wide variety of environmental conditions with an operational temperature range of -31 F to 122 F and humidity of 10% to 90% . The dual door option for this strike comes with a 90 degree angle of aluminum. For a dual door mounting the surface mount door strike would still have to face the side is if it were on the door frame. The 90 degree angle bracket provides a surface to mount it to. CE certified exit accessories are products that have under gone additional product certification by an approved third party lab. Generally, the CE indicator certifies a product to health, safety and environmental requirements. The CE mark ensures consumer safety when the product is used according to the manufacturer’s specifications. The Electric Strike is also made in an ISO 9001 Certified factory meaning the production was up to the International Organization for Standardization's requirements.